This is the amp that started it all. Made solely as a "one off" for the designer himself, Tom was just looking to improve the sound of today's guitar amp. "Dewd, This is Tom Graefe. 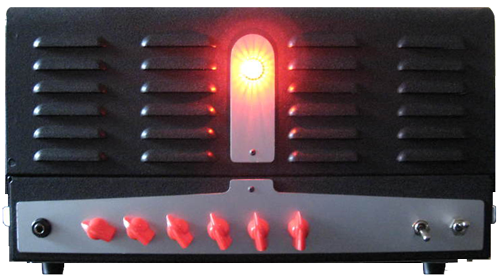 I designed a new Guitar amp. Could you help me evaluate it?" He didn't even have to say please. Well, that was it... retirement is over. The orders soon started pouring in after the well known evaluators were done evaluating and spreading rumors. This is our TruTone™ Hand Finished Studio Model. Not that you can't take it on the road as it comes with it's own flight case*. *Flight case is an extra option as they are custom built. So some heavy hitters found out about Tom's little beauty. 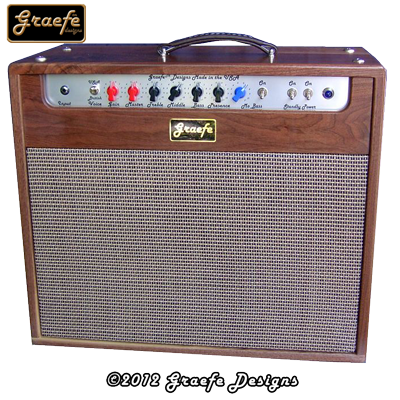 And although they could appreciate the true tone from this Graefe Designs Combo, they preferred to hear that SWEET TONE through a 4x12 Cabinet, And next thing you know the requests started coming in for a Graefe Designs™ Head. 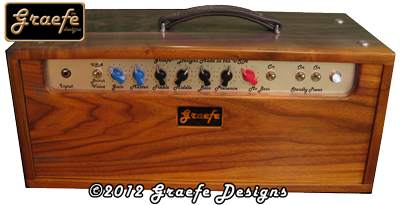 The Graefe Designs "TruTONE™ Head. Of course we sell units that feature 3/4" Birch Ply cabinet with a specially selected indestructible covering. OOOOH YEAH! This bad boy through your favorite cab will absolutely make you grin! 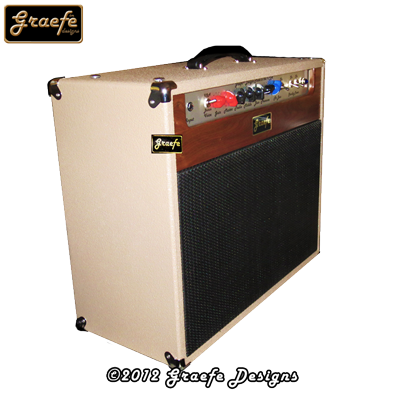 Of course Graefe Designs™ have our own cabinet designs in a 1x12, 2x12 and 4x12 design. Our cabinets are built to order. See our new 4X10 Bass cabinet and 15" ported cabinet in the User Gallery.